The 2018 Nissan Titan’s got your back this winter. Titan is prepared for whatever comes your way, so at Speedcraft Nissan in West Warwick, we say let it snow. Lots of snow means lots of opportunities to make some extra money plowing, which is a great way to supplement income that may dip during the cold months. Nissan has announced a new Snow Plow Prep Package for the 2018 Nissan Titan XD. It’s available on all three Titan XD body configurations with a V8 gas engine — single cab, king cab and crew cab – and on S and SV trim levels. The front springs on the 2018 Nissan Titan have been replaced with a higher capacity design, increasing its front gross axle weight rating by 575 pounds. That means you can outfit a plow up to 786 pounds to your 2018 Nissan Titan. The package has been approved for use with a range of commercial and personal snow plows from five leading snow plow manufacturers: Boss, Fisher, Meyer, Snow-X and Western. Whether you’re plowing snow or plowing through traffic, the Titan performs well and provides comfort in the winter months. Sometimes little things mean a lot. Hate to take your gloves off to dig for your keys? With the standard push button ignition and the available Nissan Intelligent Key in your pocket, you can keep your gloves on, get in, push the button and go. Another convenience that is especially appreciated in winter is the available remote engine start with Intelligent Climate Control. On cold days, the system can warm up the cabin, defrost the windows and windshield, and even turn on the available heated steering wheel and outside mirrors. Heated seats in the front and rear can help take the chill off even more. 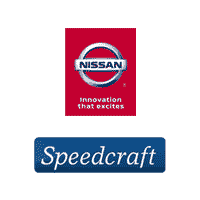 For questions about the Nissan Titan, contact an expert at Speedcraft Nissan in West Warwick.